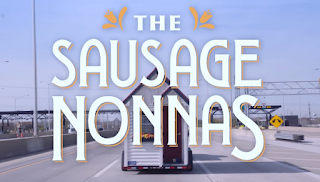 Ad Agency Droga5 recently created this absolutely ridiculous stunt for Johnsonville Sausages. In collaboration with Uber, the Sausage Nonnas went to Chicago with these three adorable grandmothers with an obvious Italian background to deliver sausages in tiny nonna homes. Below, meet the Nonnas: Antonia, Gina, and Lidia.